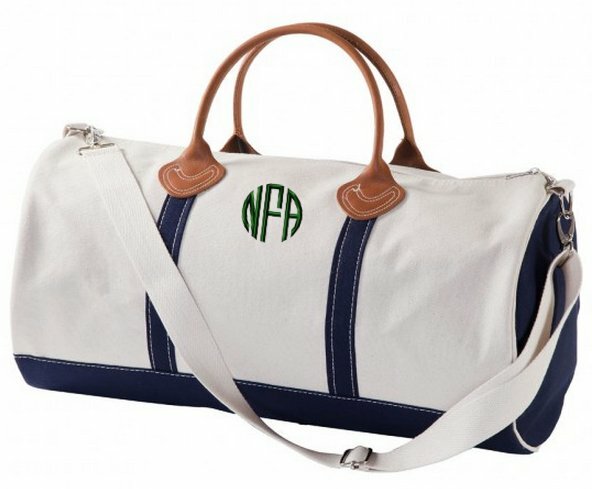 Part of popular travel series of natural canvas luggage is this round duffel with either a black or navy trim colo. 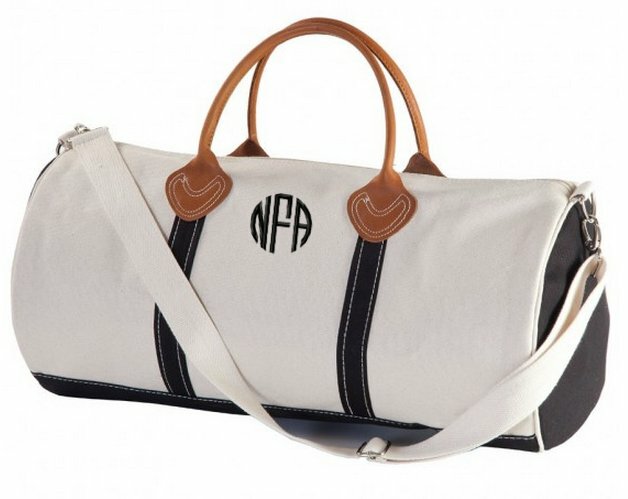 Carry it with ease using the 15 inch leather handles or adjustable shoulder strap. 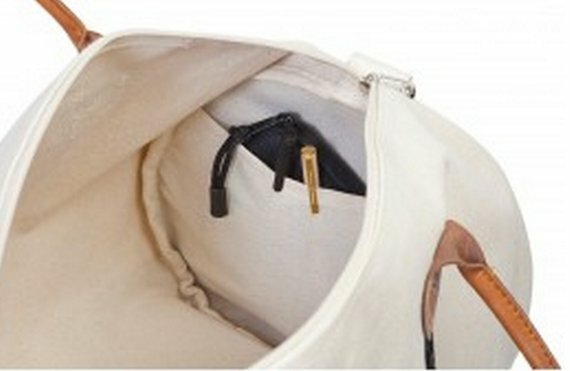 Great compartments with 2 inside pockets , see side images. 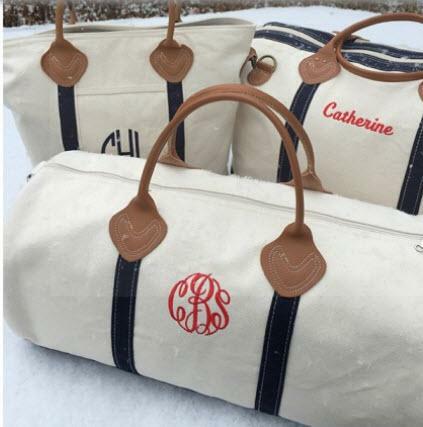 Monogram is on one side at around 3 inches in diameter or name is 3 inches tall depending on the number of letters used. Choose from our many great fonts and thread colors. Black thread and Blue Black Thread for the navy matches best or use a different thread color to make it pop. 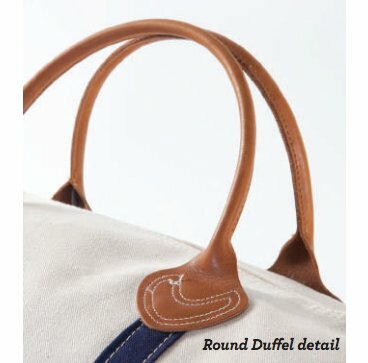 Zip closure and measures 10.5"H X 21.25"W X 10.5"D. See our matching weekender bag and flight tote. 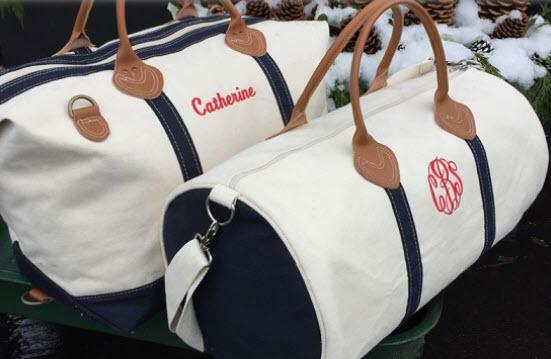 We also have a smaller weekender bag like this one too. Price: $88.00 In stock! - Browse this brandOur products are custom made to your specifications. This product ships up to 2 weeks after your order is placed.